Jim began working at the funeral home in 1969, working summers and weekends washing cars, delivering flowers, cleaning and assisting the funeral directors. 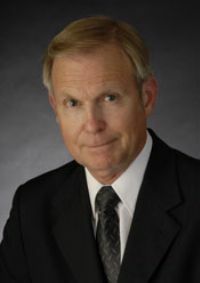 He received his degree in Funeral Services from Humber College and his Funeral Directors license from the Ontario Board of Funeral Services in 1977. 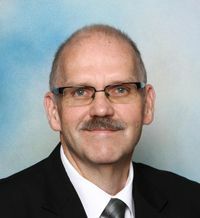 He served as the Treasurer of the company until his buyout of shares in 2012 and is currently the President of the company now operating as the D. J. Robb Funeral Home & Cremation Centre Ltd. 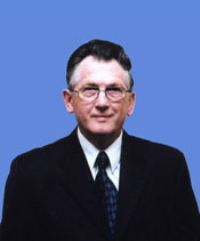 Under his direction an expansion project in 1988 saw the addition of a new 250 seat funeral chapel along with new offices, casket and urn display areas and garage space. This made the funeral home only one in Lambton County with its own funeral chapel designed specifically for funeral and celebration of life services. Jim was awarded the Queen's Golden Jubilee Medal in 2002 for his significant contributions to the community. 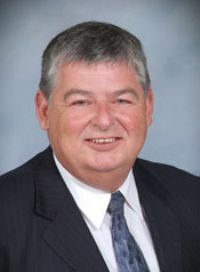 He has been a longtime member of Funeral Service Association of Canada, Ontario Funeral Service Association, Canadian Independent Group of Funeral Homes and the Lambton County Funeral Directors Association. Linda was born and raised in Woodstock, Ontario, moving to London to attend Fanshawe College, earning a diploma in Business Administration. 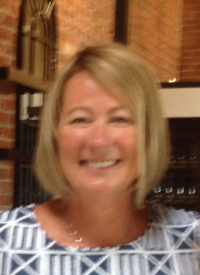 She moved to Sarnia after college and has worked at the Funeral Home since 1999 as our Business Manager. Linda along with her husband Jim is as well an associate member of both the Funeral Service Association of Canada and the Ontario Funeral Service Association. Bill was born and raised at West Lorne, coming to Sarnia in 1963. Before his retirement Bill was the senior Funeral Director on staff, he graduated from the Canadian School of Embalming in 1965 as a licensed funeral director and has been associated with the D. J. Robb Funeral Home since 1977. Bill has been married to Judy since 1969 and they have two grown children and four grandchildren. 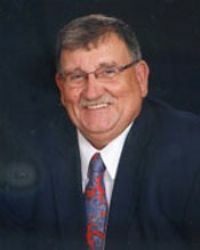 He is an active member of First Baptist Church, Petrolia, where he has served three terms as a deacon. Today Bill continues to practice part time at the funeral home and continues to mentor our staff with his nearly 50 years of experience as an Ontario Licensed Funeral Director. Tom was born at Dunnville, Ontario and moved to Sarnia with his parents and sisters over 30 years ago. He worked for the St. Clair Catholic District School Board where he was employed as a custodian for over 25 years. Wanting a change in his career path, Tom enrolled and was accepted into the Funeral Service Education program at Humber College in Toronto. 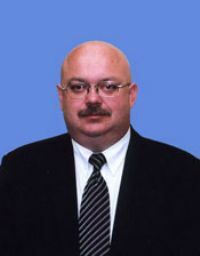 He passed his Ontario Board Exams in June, 2010 and qualified for his Ontario Funeral Directors Licence. Tom has been married to Julie for the past 28 years and they have two sons, Steven and Christopher. Steven is married to Beth and they have a daughter named Lilli and son named David. Their youngest son Chris, recently moved to Alberta and has a son named Benjamin and daughter named Emily. Being grandparents is a blessing Julie and Tom thoroughly enjoy immensely. Tom and Julie belong to Redeemer Lutheran Church where they both taught Sunday school for several years and Julie currently sings in the choir. Leo was born and raised in Welland, Ontario. Graduating from Humber College, he moved to Sarnia in 1985 and joined the D.J. Robb Funeral Home. Leo who is bilingual is married to Francine and they have a son Christopher. He is a member of the Knights of Columbus #8950 and has volunteered his time with the separate school boards breakfast programs. Teri-Lynn came to us from the Thamesford area as a Humber College student in the Funeral Services internship program and has been with us since May, 2013. Her potential was soon realized and we were happy to offer her a full time position long before her internship ended. We now are happy to announce that Teri-Lynn has just graduated with Honours in the Funeral Services Education Program at Humber College of Health Sciences in Toronto. 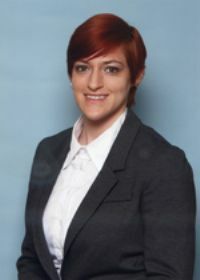 She is now holds her license to practice in Ontario as a Board certified Funeral Director - Class 1. Paul is a longtime Sarnia native and currently serves as a Directors Assistant provides those we serve with a valuable and complimentary follow-up service the funeral home provides called Family Care. Ray, a well known Sarnia resident spent many years as a Lab Technician at St. Joseph's Hospital. After his retirement Ray joined our team and has been employed with us as a Funeral Directors assistant. Charles (Bud) Wilson has been a Point Edward resident for over 46 years. Bud and his wife of 50 years, Sandra have four children and ten grandchildren. Charles is an active member of the Point Edward Optimist Club and was active with Cubs, Scouts and Bridgeview School. Dave retired after many years working in the cable TV business. He joined our team in 2010 and is a Funeral Directors assistant.